Accent your shield with the Brass Shield Boss for historical style and defensive capability. This round shield boss has a raised center for better deflecting blows. Holes dot the wide rim for more easily attaching to a larger shield. Made of brass, this shield umbo brings a bright look to your medieval, Viking, or other historical reenactment look. Hardware is included for easier attachment. 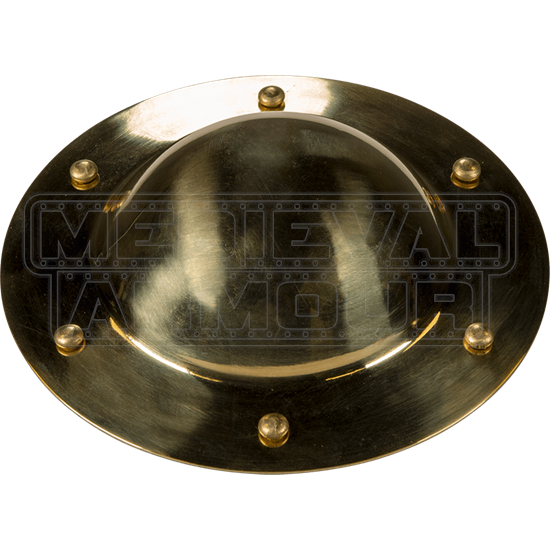 Add this brass shield piece to your favorite round shield to up your defense and the detail of your ensemble.